This brewery is named after the Trillium, a perennial flowering plant native to North America. Translating to "three parted lily", it is often associated with the Christian doctrine of the Trinity (because of its three flowers as part of one plant) and perhaps due to its early medicinal use among Native Americans, some think it symbolizes American durability and balance. 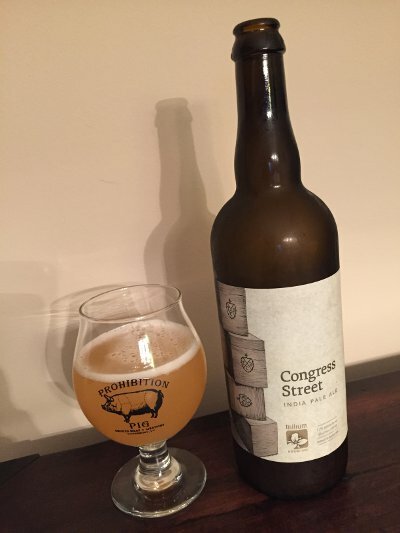 The Boston homebrewer-turned-pro JC Tetreault (Interestingly, his blog from homebrewing days is still online) thinks it symbolizes what he's attempting to achieve with his brewery. I had the great fortune of stopping in at their brewery during Operation Chowder to pick up some bottles. It's a neat little place, located in Boston proper, they appear to have crammed a lot into a rather small space (including what appear to be quite a few barrels, which is pretty exciting). The retail shop is really only for selling bottles and growlers (apparently in their early days, they would serve beer there, but as their popularity waxes, they have to keep that line moving), and I was happy to snag a handful of such. They recently announced plans to open a new, larger facility, so here's to hoping these beers become more plentiful. Beer Nerd Details: 7.2% ABV bottled (750 ml capped). 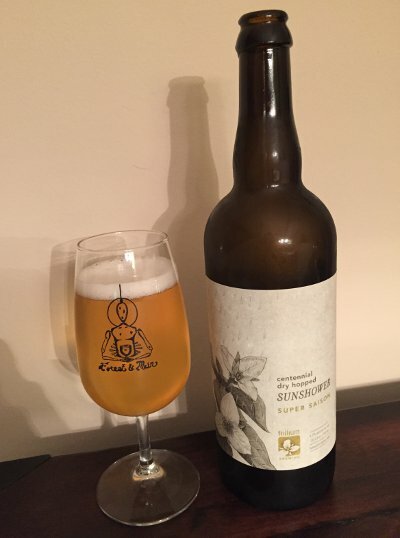 Drank out of a tulip glass on 6/6/15. Bottled: 05/26/15. Beer Nerd Details: 8.5% ABV bottled (750 ml capped). Drank out of a flute glass on 6/6/15. Bottled: 05/26/15. Well that's quite a nice first impression. I have bottles of Vicinity Double IPA (which will almost certainly be consumed this weekend) and Trillium Saison (which may wait a bit, but will surely not be long for this world). And it's a place I will most certainly have to return to again someday (and maybe finally get some lunch/dinner at Row 34, as that place looks amazing). hey Mark, it's Mike. Used to post as mdanberg, but haven't been commenting since the google login was removed. Anyway, just was going to say, we've had a lot of Trillium beers over the past few months at our beer club. A few of the guys went up there for one of the big beer fests and brought back a lot of bottles from Trillium. These guys are doing some great stuff with IPA's and Pale Ales. I think we've had about 10 different beers from them and they were easily some of the best ones I've ever had. Definitely a brewery to keep an eye on. This page contains a single entry by Mark published on June 16, 2015 11:43 PM. Lost Galaxy was the previous entry in this blog. Lawson's Finest Liquids Sip Of Sunshine is the next entry in this blog.